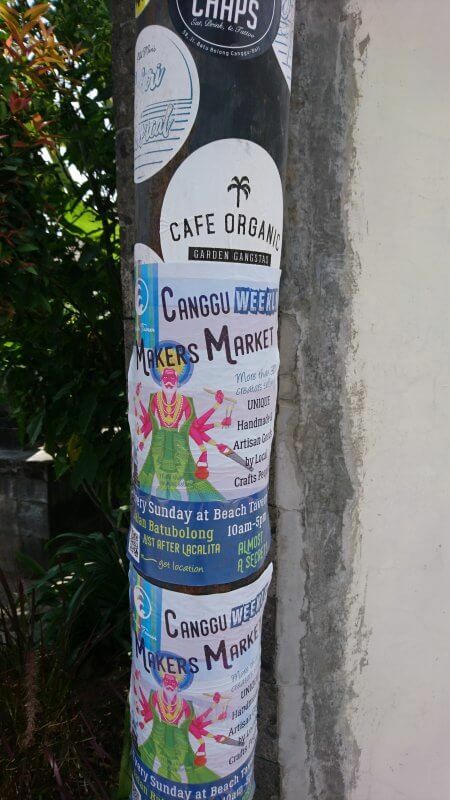 Canggu’s definitely not for everyone. 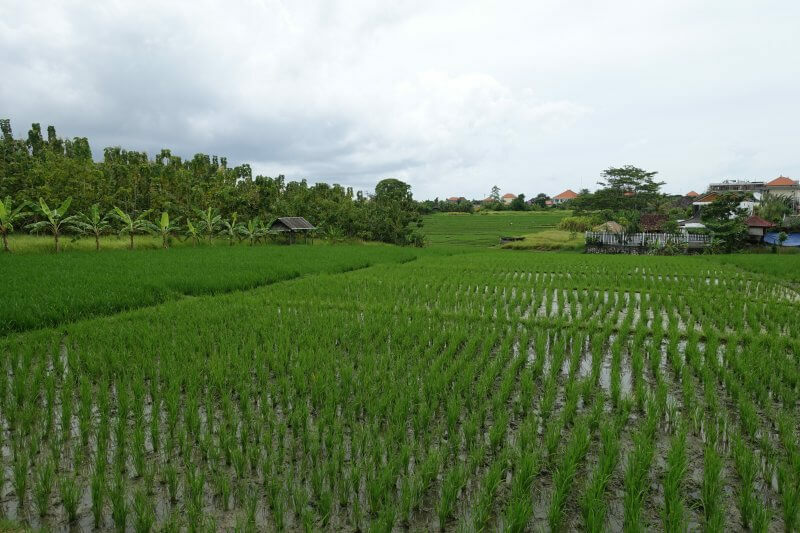 Being some distance from popular attractions (other than Tanah Lot), and without the most exciting nightlife, it is understandably an often overlooked region in Bali. Still, many who come swear by it, and end up staying for weeks or even months. 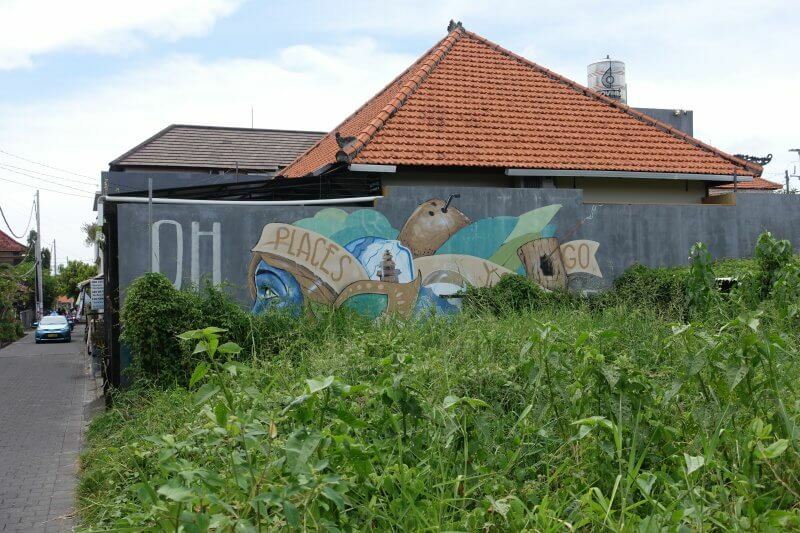 There’re plenty of gems in this small space, well within walking distance, while at the same time without the crazy crowds of Ubud or Kuta – if you look in the right places. I came to Bali this time, not to hunt down more spectacular sights, but rather to shake it all off, find somewhere nice and chill. 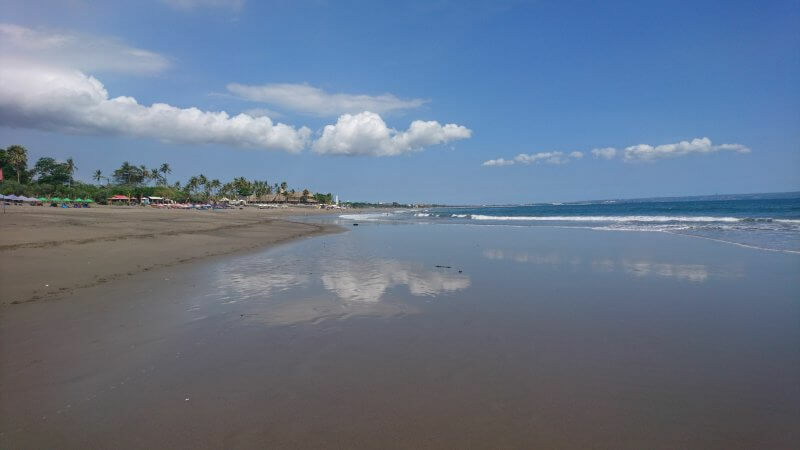 Canggu quickly popped up – not too exotic which would likely mean pricier stuff; not too secluded therefore having sufficient comforts and things to keep me occupied; and not too crowded, so I would be able to find quiet spots around when I needed to. With that, I packed a copy of Eat, Pray, Love then went in search of some resemblance of balance in my life. The week there was probably too short. 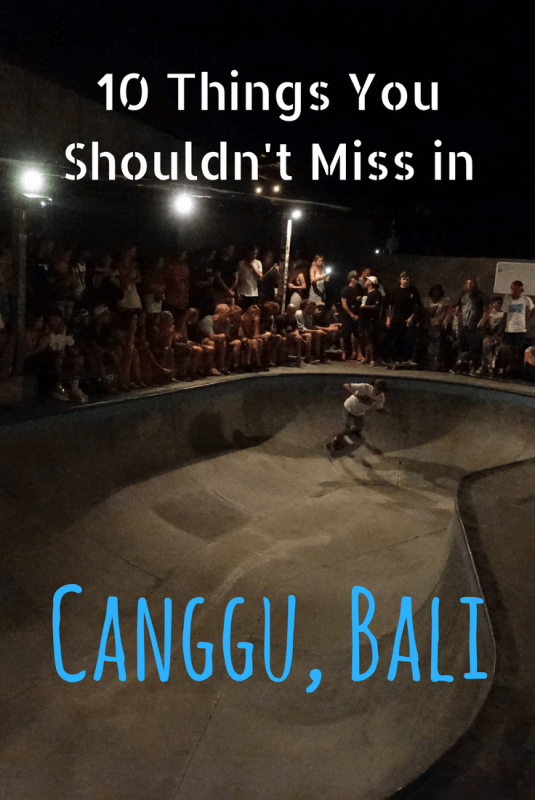 Between learning surfing and yoga, I spent most of my waking hours walking the beaches, poking my nose into interesting looking corners, and while there’s plenty of things you can’t do in Canggu, here are 10 things you could, and should do, while in Canggu! 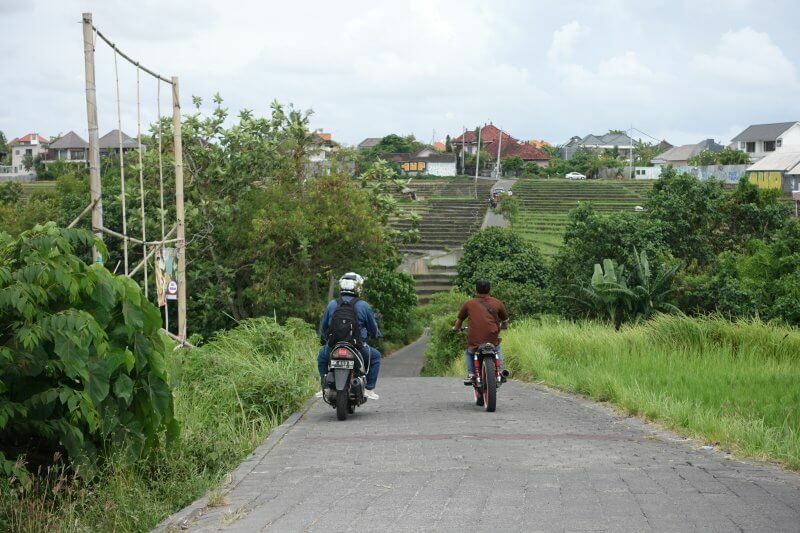 Canggu, first impressions. 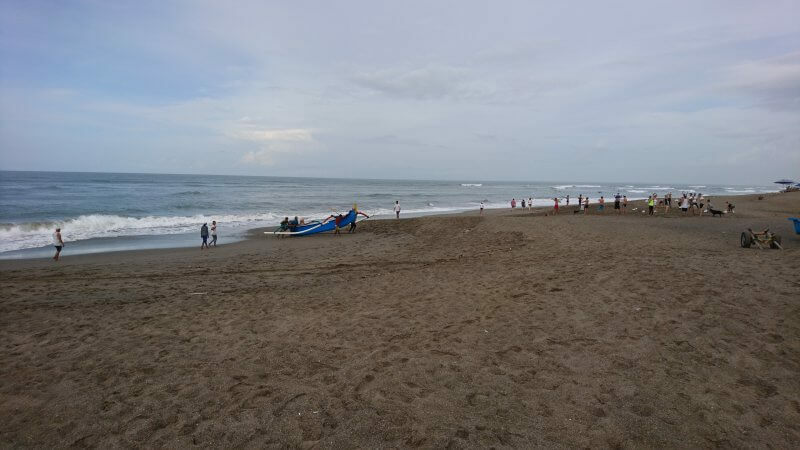 Nelayan beach in the morning – locals returning from fishing, expats exercising on the beach. I wanted to try out some yoga this time, and Canggu appeared to have a options for various budgets. 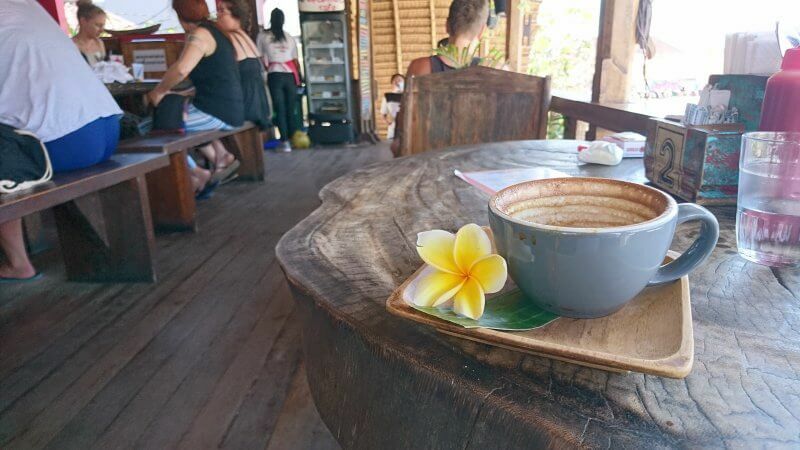 I ended up staying and doing daily yoga classes at Serenity Eco Guesthouse, which boasts friendly staff and affordable beds and classes (not to mention affordable massages too). The guesthouse specializes in yoga and has classes for all levels running through the day. Single class passes were at 100,000 Rp each, with discounts when more are purchased. 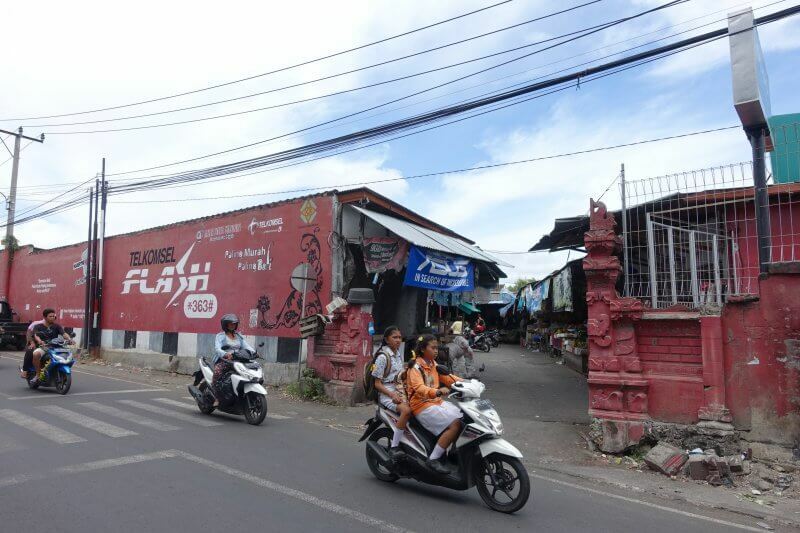 Along the same street, Jalan Nelayan, you’d also find Canggu Studio, which I didn’t try out but looked like a good option for a variety of martial arts/ other fitness classes. 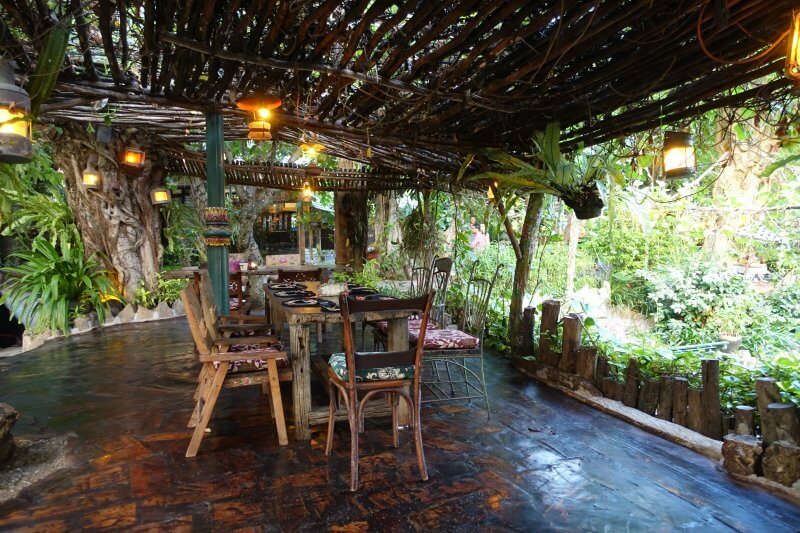 The sanctuary within Serenity Eco Guesthouse. 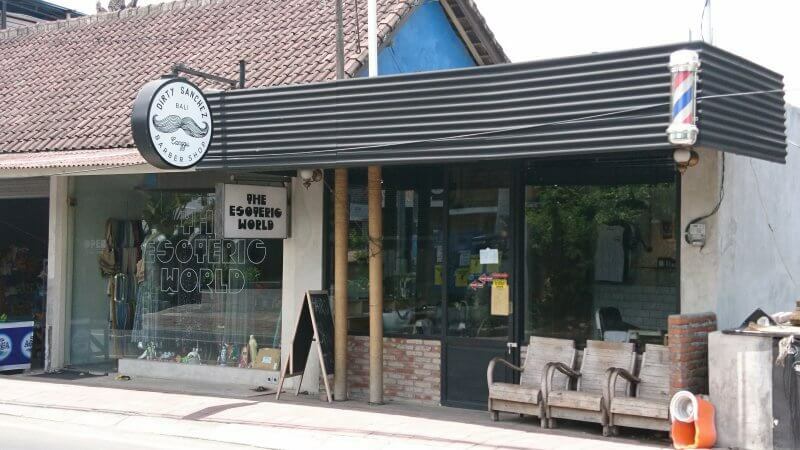 This main artery of Canggu stretches from the beach to the heart of Canggu, a comfortable distance for a walk, with interesting hipster shops along the way. At Pantai Batu Bolong (Batu Bolong Beach). 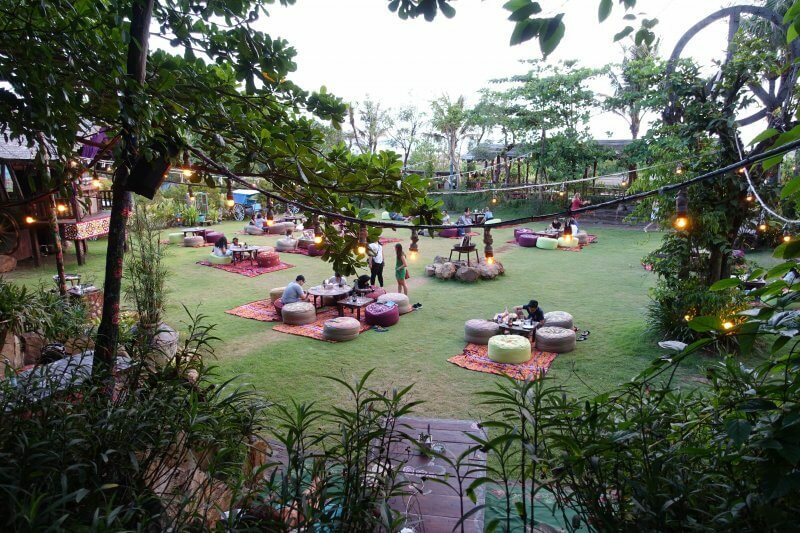 Also along the beach near Jalan Pantai Batu Bolong is The Lawn, which offers casual fine dining, on – no prizes for guessing – the lawn. Looked like a great spot for catching sunset/ after hours with friends/partners, but since I was alone this time, I gave it a miss. Not sure if you’d wanna get groomed here. Looking for events to check out? Search the lamp posts along the way! 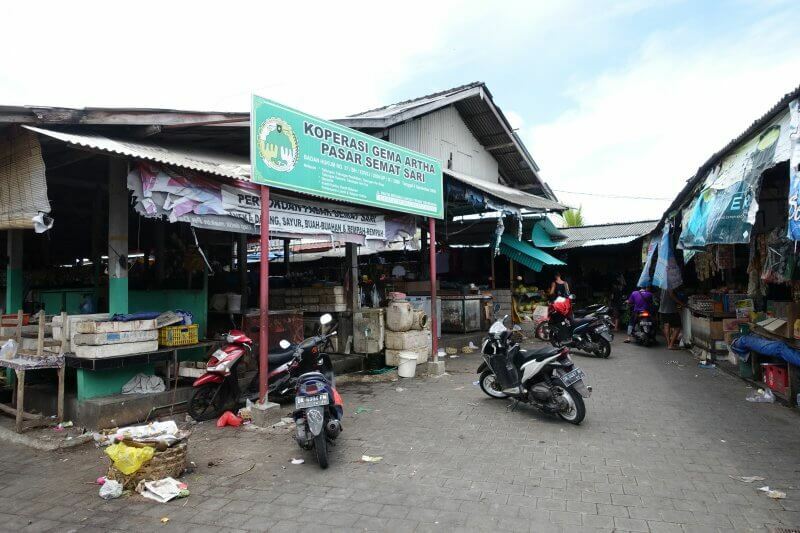 As the road inches inland, streets get busier (just slightly, this is Canggu, after all), and shops get bigger. Love Anchor, market full of clothes and trinkets. And then there’s Deus Ex Machina – The Temple of Enthusiasm. ‘Deus makes motorcycles. Deus makes surfboards. Deus makes coffee. Deus makes music. Deus makes things happen.’ That’s what they said. 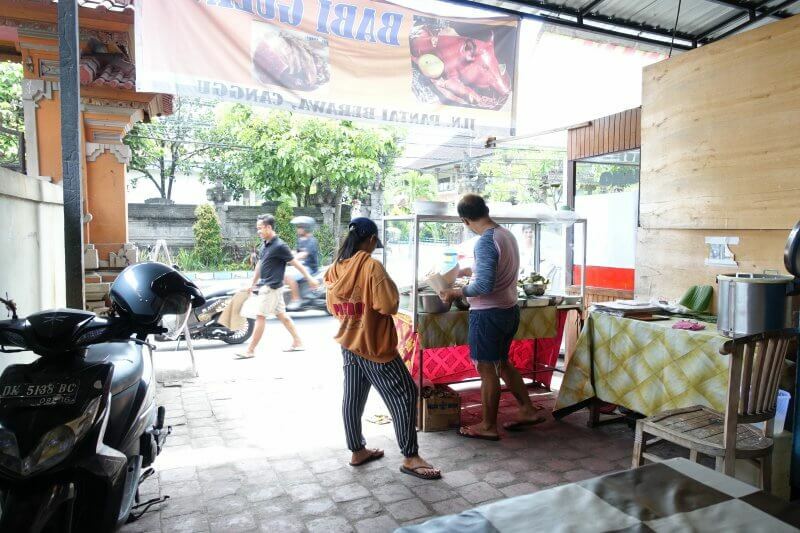 And when you’re done exploring the shops, head to one of the plenty cafes and restaurants near the intersection of Jalan Pantai Batu Bolong and Jalan Nelayan. From local to international favorites, French pastries to also Cuban sandwiches, there’s something for everyone here. 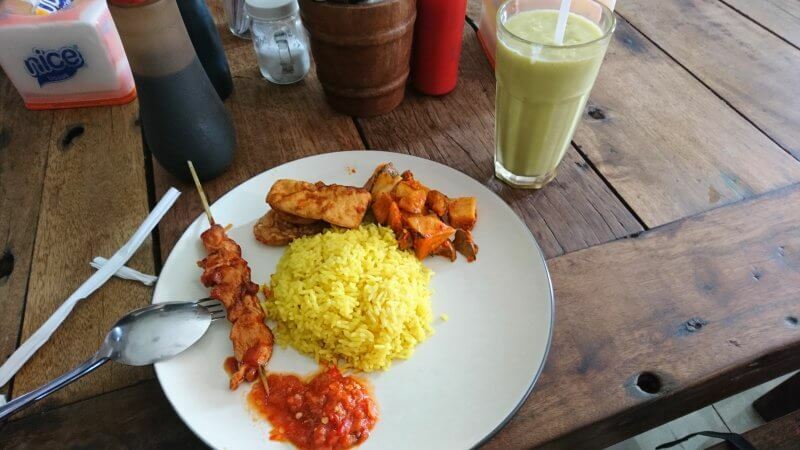 Warung Bu Mi, offering Nasi Campur with a huge variety of choices to go with rice (or without rice). 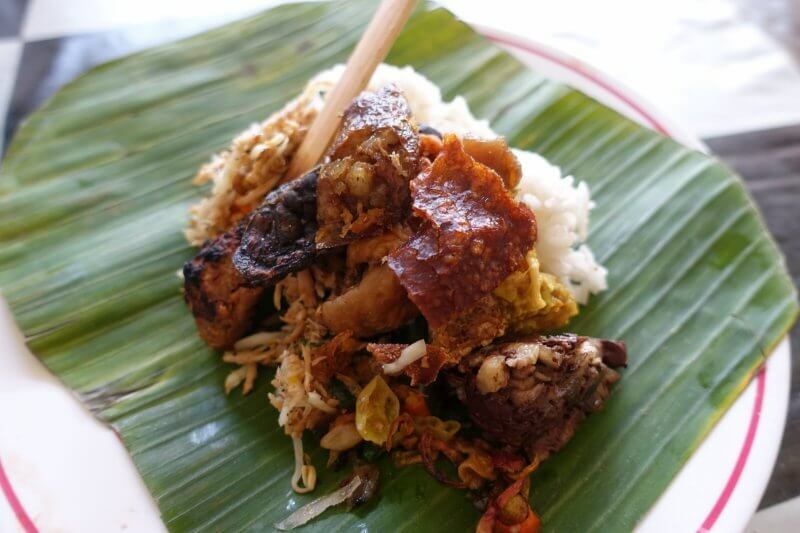 Perfect for getting a taste of lots of Indonesian fare, from stewed chicken innards to fried jackfruit. Mostly less intimidating stuff such as barbecued meat. View from the upper deck of Betelnut Cafe, popular spot known for its fruit bowls, but also has wholesome breakfast/ snack options. Great for hanging out or people watching. Little cute touches like the pretty flower. 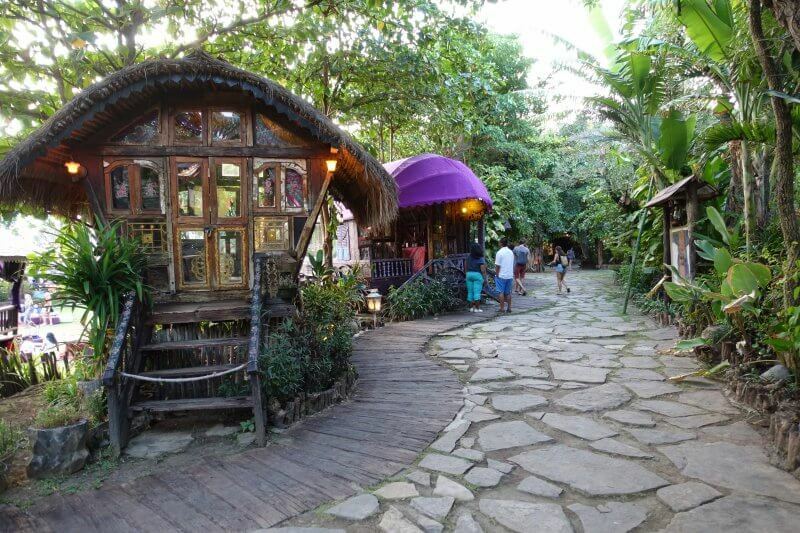 You’d definitely not be disappointed with the food options in Canggu! Pasar Semat. It was closed by the time I passed (around lunch), but I’d imagine it’ll be bustling at other times (morning?). 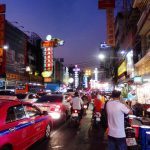 If you’re in for something more ‘local’, then you’d have to walk a little further from the main tourist streets, towards Pasar Samat, to get your fix. 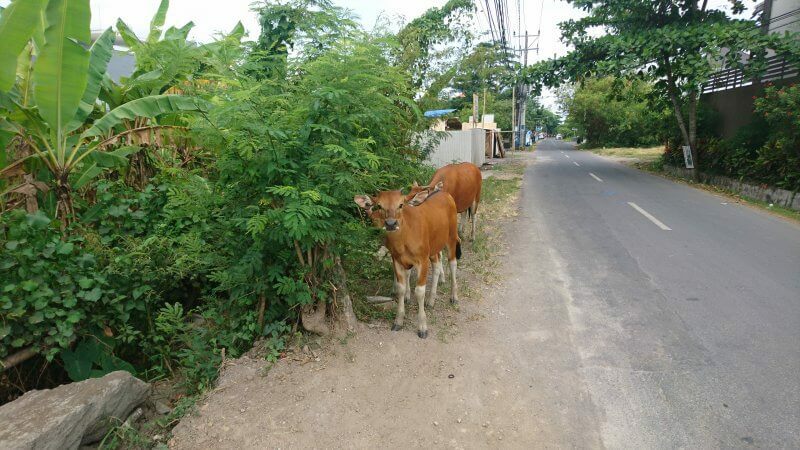 This one took me about 30 minutes from the tourist areas in Canggu to walk to. From Pasar Semat, continue straight for about 200m and you’d see an Indomaret. 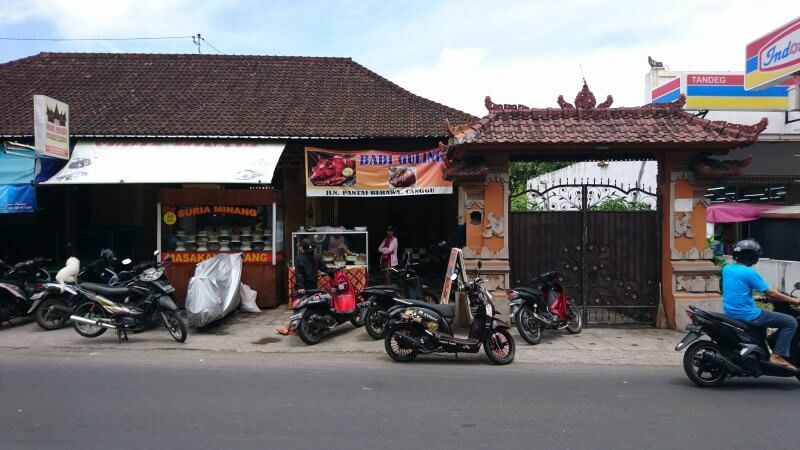 Finally, to its right, the most iconic of Bali cuisine, Babi Guling (approx 126 Jl. Raya Pantai Berawa on Google Maps). I was initially a little put off that the closest place I could get Babi Guling was so far away, but later began to appreciate the really local experience. During both times I was there, only locals visited the restaurant, mostly for takeaways. The guy at the shop didn’t spoke much, but his food delivered. Absolutely yummy. If you’ve got some time to spare and are looking for something local to try out, head here! Honestly no idea which was what, but it was good. Babi Guling (suckling pig), for just 20,000 Rp! A little of everything in the display. Where locals get their fix. Walking back towards Jalan Nelayan/ Jalan Pantai Batu Bolong, passing Pasar Semat again on the main street. There were many of on the empty plots at Jalan Nelayan, minding their own business and following their schedules. Unfortunately I couldn’t mind mine, so I dropped by to say hi. They’re not wild, but rather shy. I was quite apprehensive about this, as I couldn’t swim, and was desperately googling if surfing was possible with life jackets, with no comforting search result found. 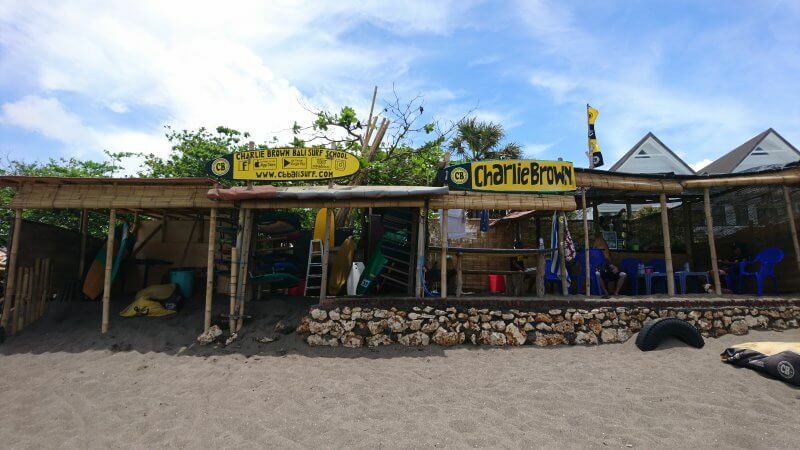 In the end, I decided to take the plunge and signed up for classes at the guesthouse, which did the bookings with Charlie Brown Bali Surf School (400,000 Rp for 2 hours). They picked me up and dropped me off at the guesthouse (I suppose they would with other guesthouses/hotels too), so it was really convenient. Charlie Brown Bali Surf School at Berawa Beach. Not too sure about the prices down the beach, but I felt safe and at the same time excited learning from those guys. I was initially terrified to find out there were no life jackets, but the instructors gladly accommodated my apprehension of the waters. I informed the instructors on both days I went that I could not swim and we went to shallower spots, which would allow me to stand comfortably (chest deep at the deepest I went). Still can’t surf after 2 sessions of 2 hours each, but had alot of fun. And a lot of cuts on my knee from the shallower waters, which I would gladly take anytime over panicking in water. 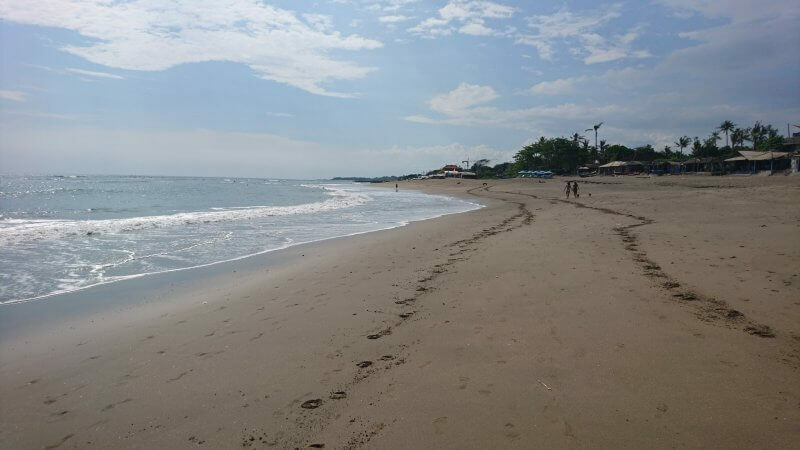 The beaches here aren’t the best, but still make for a really nice walk down the entire stretch: Batu Bolong – Nelayan – Berawa – Kayu Putih. Kick off those flip flops and feel the warm sand beneath your feet. Look out for horse riders along the way. Trails left by a pair of horses at Nelayan Beach. Locals tending to their boats where the beach was lined with colorful huts. Canggu’s answer to the Brighton Bathing Boxes, at Nelayan Beach. 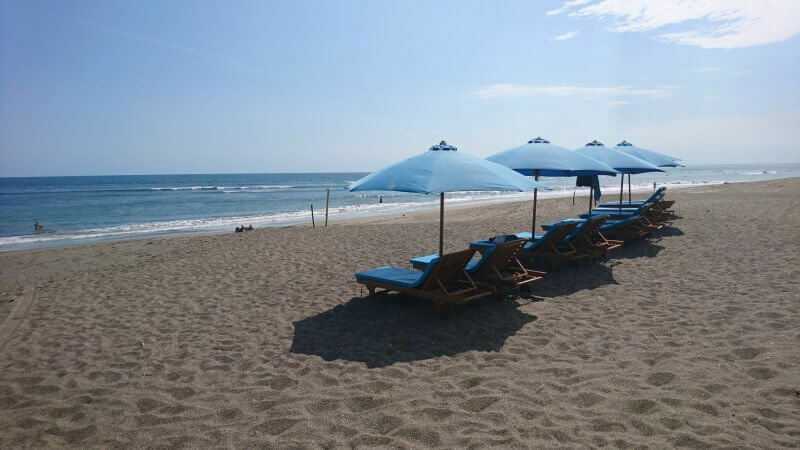 And at any time when you’re done walking or need a break, stretch out on one of these beach chairs for a small fee and take a nap or read a book. I went all the way to the end of Berawa Beach and paid 10,000 Rp to use of one these for a couple of hours, till the owner packed up for the day. Not too sure about the prices at other beaches along the way though. Another option is stopping by one of the beach bars/ cafes where they have other cozier options such as bean bags. Grab an ice cold beer or freshly cut coconut and watch people getting around the beach. Lots of lazing options along the beach. If you don’t fancy one, walk another minute down and you’d see another. Most if not all require some form of payment to use. I loved walking over this part where the sea gently swept over the beach. It was therapeutic sitting/ walking on the beach, especially here in Canggu where it isn’t too crowded. 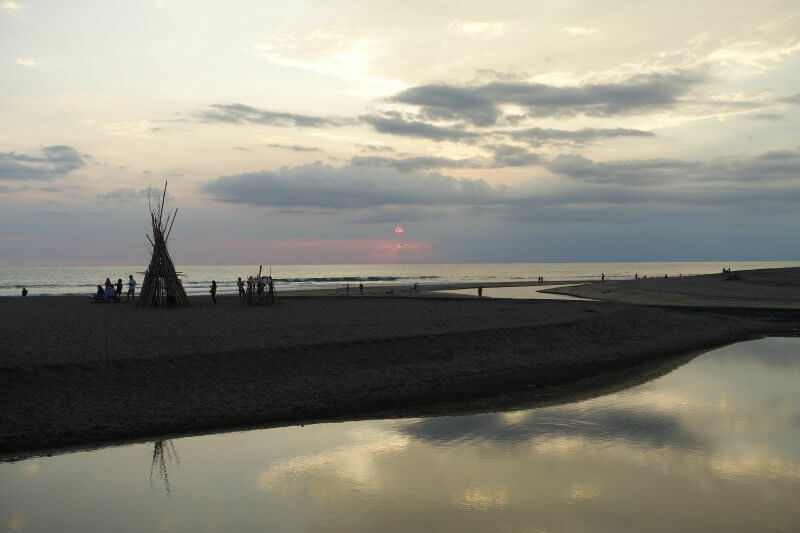 This was my first sunset in Canggu, at Nelayan Beach. 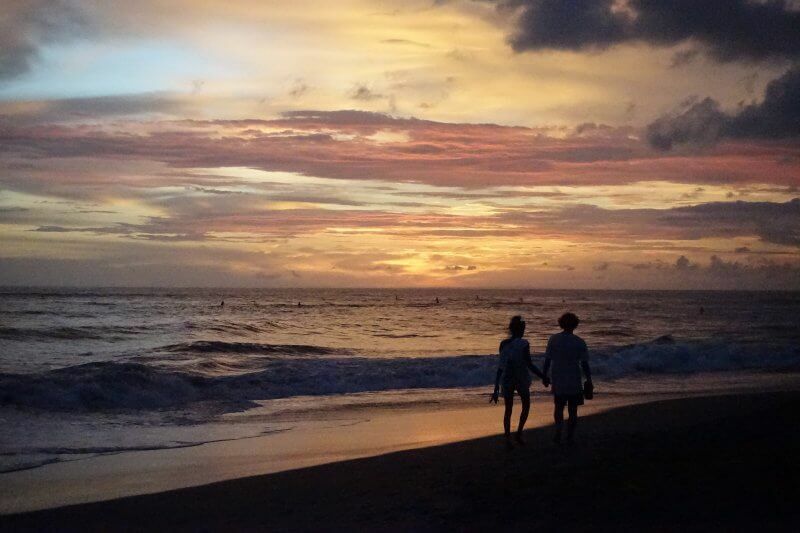 Enjoying the sunset, hand in hand. This one I almost discovered by chance. 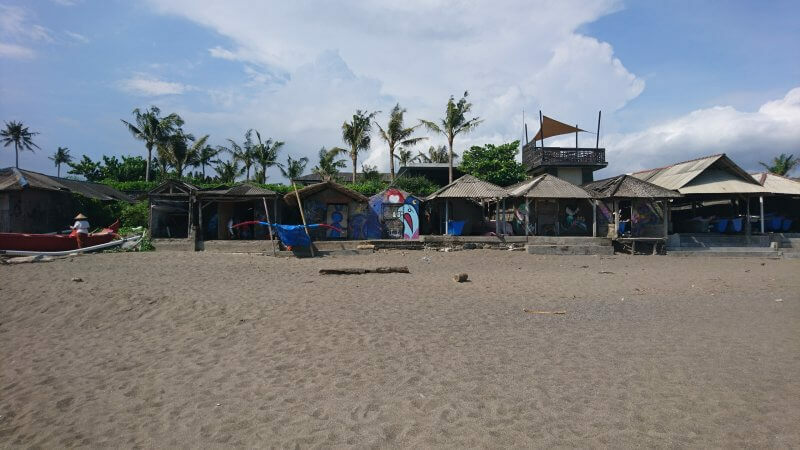 Well I had came across it while researching on Canggu, but wasn’t expecting to walk right into it on my second beach walk. 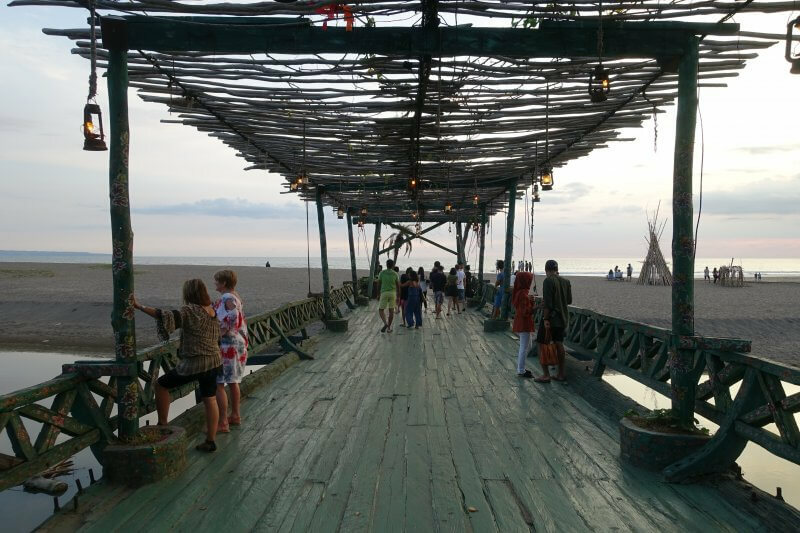 Coming from Nelayan Beach, I passed Berawa Beach when a funky looking bridge appeared. It lead across a stream to some bushes where many people were coming out from. I had to check it out. If you’re coming from the beach, it starts with this fancy looking bridge, overlooking a stream where locals were fishing from. Sunset from the bridge from La Laguna Restaurant and Beach Bar to Kayu Putih Beach. It wouldn’t be an understatement to say that the La Laguna is out of this world. I felt like I stepped into another universe beyond the bushes after the bridge (down the rabbit hole?). I’d definitely have dinner there if I wasn’t alone. It was overflowing with hipster vibes, and here’s a tiny teaser of it. And this. Tarot card reading at one of these carts too. How much more awesome can it get? I swear this is no sponsored post, but this place is too cool for me to not include as an item on its own. Only sad thing was me not getting some food there so I could add a review on not just the decor but to food too. But try it out and let me know! 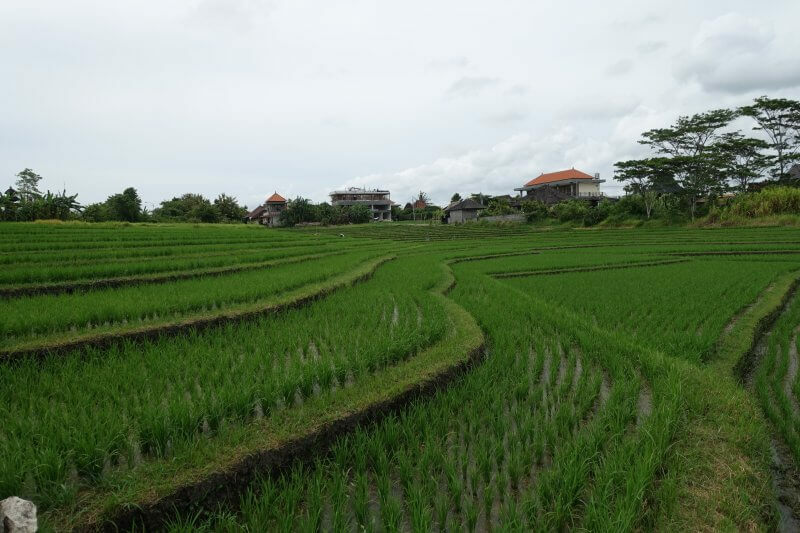 While not as spectacular as those further up the mountains, the rice fields lining the narrow road here provide pretty photo opportunities too. Chill on bean bags at Cloud 9, enjoy the view over the fields and people watch all day. Or take extra care if walking/ travelling down this road. Traffic is heavy despite it being barely wide enough, as it saves quite a bit of time getting in and out of Canggu. As a result, accidents are frequent on this short stretch of road. There’s even an instagram hashtag for these smashups, take a look here! At wider portions of the shortcut road. 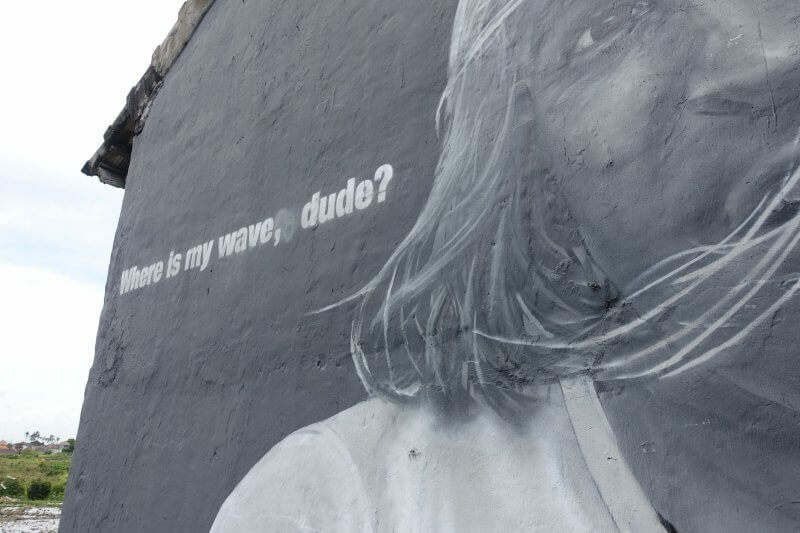 There’re nice murals (graffiti?) 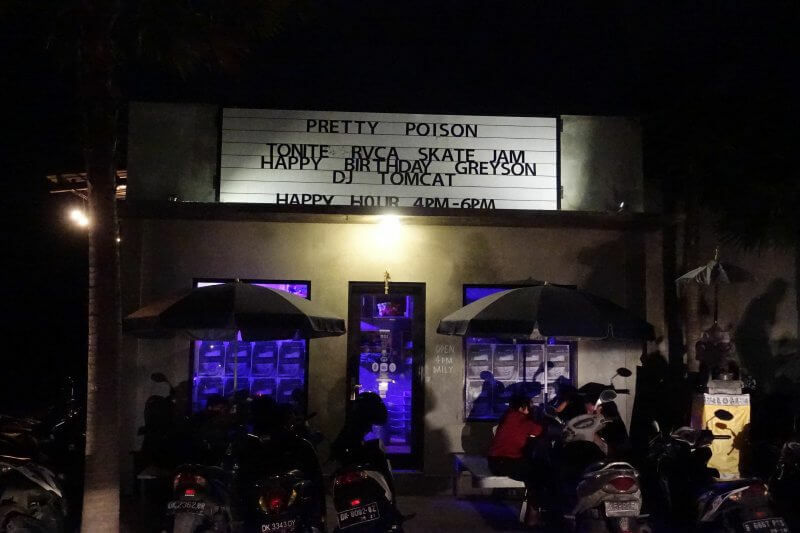 all over Canggu. Here are some at one end of shortcut road. Definitely not here in the fields. More rice, no rise. Ready to jump out and scare unsuspecting cars. Last but not least, somewhere I really enjoyed but never quite fitted in. Somewhere along shortcut road was Pretty Poison, looking somewhat nondescript by day, but a massive hive of activity by night. 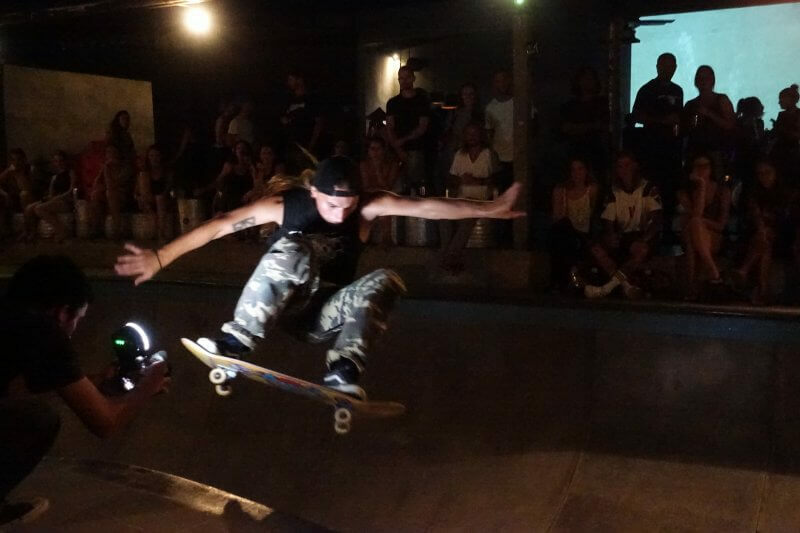 So it was Greyson Fletcher‘s birthday celebration that day, but knowing nuts about skateboard, didn’t know who he was till googling the day after. Glad to have been a part haha. 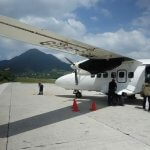 I arrived earlier in the evening, around 7, where the crowds were still thin and the atmosphere relaxed. Skateboarders were out doing their thing and I was happy to get some nice shots (photos, not alcohol, though I got a decent cocktail for 60,000Rp). 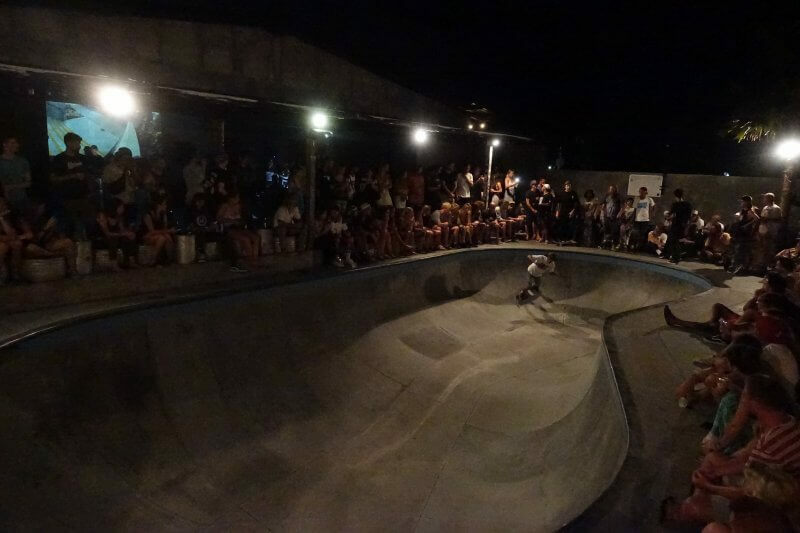 There was a ‘cool’ corner where the skateboarders gathered at, looking exactly the kind of thing all teens growing up would want to be a part of. Goth girls, torn jeans and all. But, almost at 27, I was happy just to observe. Around 9 or 10, the club started to fill in. Felt like I was the only Asian there though, and a little awkward since I wasn’t in a socializing mood. 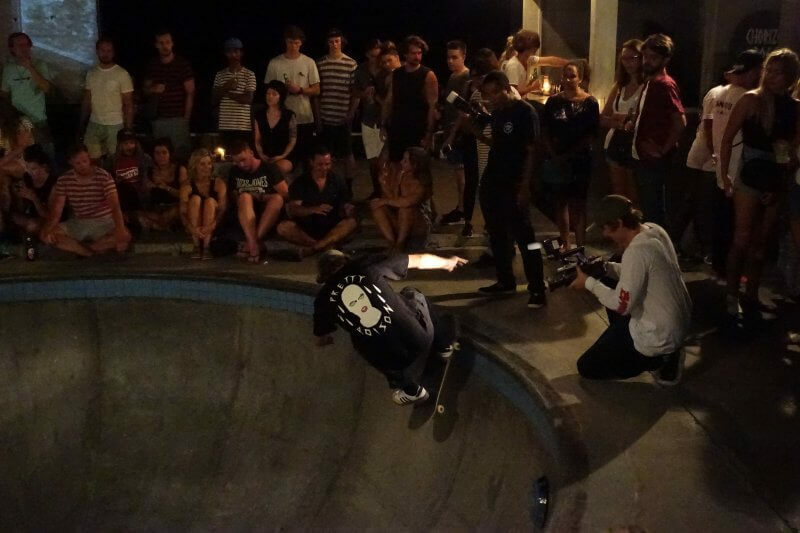 The guys that got in the bowl were really good, at least from my amateur perspective. I bet I wouldn’t even survive the slide down to the bottom. Anyway, this guy below was trying out a hard trick multiple times, and everyone watched intently, holding their breaths every time he went up, then groaning whenever he nearly made it. And when he finally made it through, landing back on his board firmly, the crowd erupted into wild cheering. WOOHOO! Persistence pays off. And the crowds love it. Just before the club got too crowded and I decided to leave. 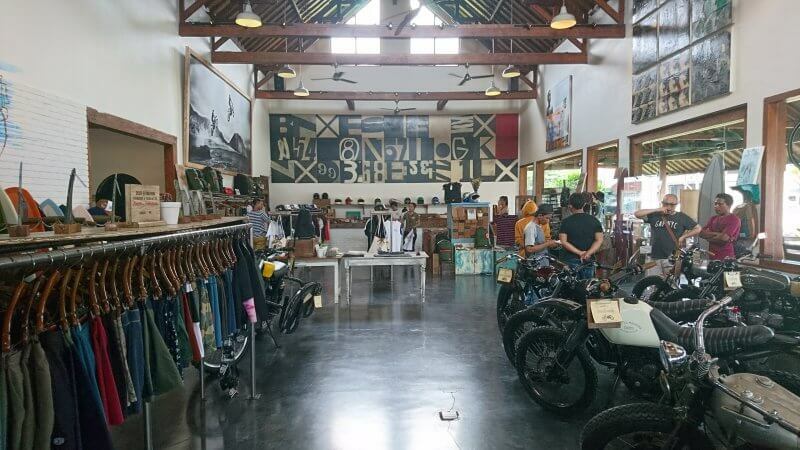 There you go, 10 things that made an impression on my first and really short trip to Canggu. Finally, a holiday that wasn’t too exhausting or exciting. What do you think? Have you tried any of the above? 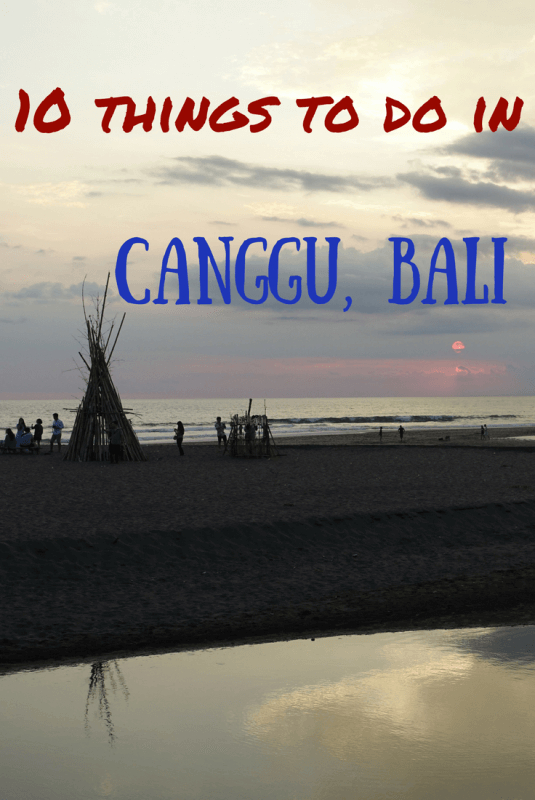 Or other things to do in Canggu that you’ll recommend too? Let me know in the comments below! Thanks for reading! Stay tuned for somewhere even more exotic in Southeast Asia, coming soon. I adore going to Bali. I went there three years for work and fell in love. 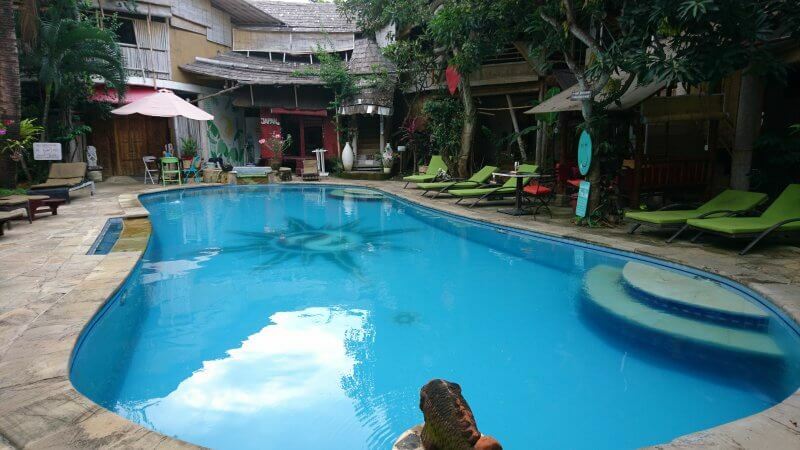 I haven’t been to Canggu yet but it looks like you had an amazing time! Hi Stephanie, thanks for visiting. 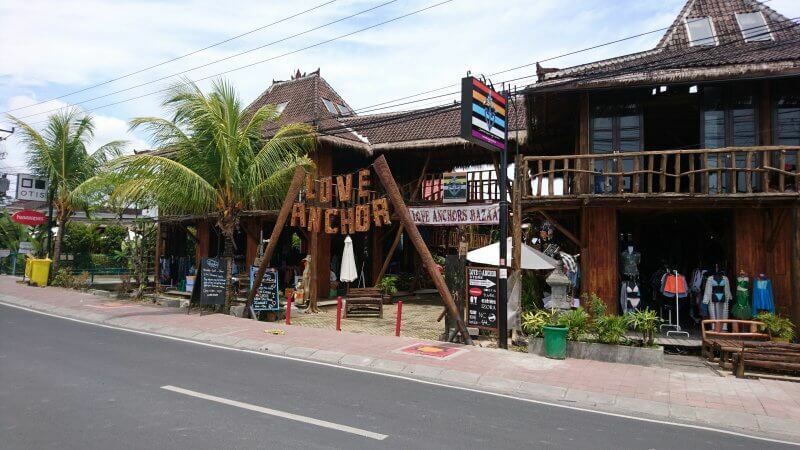 Canggu is a pretty chill place, not many big attractions yet enough activities to stay for a long time! Yup definitely agree! 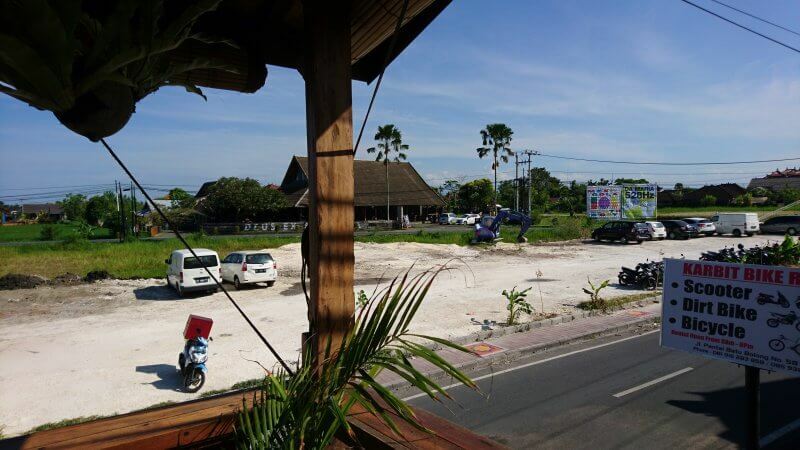 I am in Canggu now and so funny that some of your pictures are right by where I’m staying. 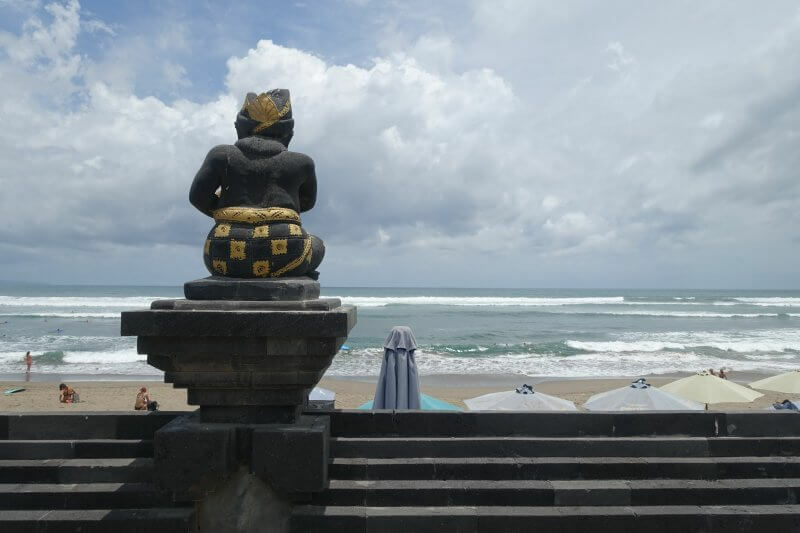 However, it’s true that it isn’t always for everyone and wasn’t what I expected when I first came to Bali – I just wrote an article myself about that http://discoverwithzainab.com/the-evolution-of-paradise/ . But thanks for writing this, it’s so familiar!